Winter entertainment in 1930s South Dakota was somewhat limited. There were movies and dances. And basketball. My grandparents, Reatha Gusso (15) and Everett Halse (30), were dating in January and February 1932 and watching basketball games was one of the acceptable activities. Went to basketball game tonite. South Shore won. Score 25 to 24. After game went with Everett to program at Bert Drake School. Program was over when we got there but we kids stayed and played games . . . Had lots of fun. Got a date for Wednesday. I wonder where I’ll go. Bed 2:15. Everett and I went to the basketball game at Bradley tonite. Bradley won 22 to 12. Went up town to look for Al. He said he was going to stay in town. So Everett and I came here. We came in the house & listened to the radio. Dad played some on the violin and I showed Everett some pictures we had here. He left here about one. Had a good time and am glad he came down . . . Bed 1:00. Florence was Reatha’s high school, which she attended with Everett’s younger brother, Alvin Halse. Al played on the Florence team, along with one of Reatha’s Bodtker cousins. Though Florence’s record was generally dismal, in February the team managed to win the Little Eight tournament. Reatha never mentioned the good news. Al Halse in December 1931, a couple months before the Little Eight Tournament. By 1945, Reatha and Everett were the parents of four boys, and sports became a family interest. Nathan, the youngest, was particularly athletic. He played football, tennis, and wrestled. From the football team roster, I learned that in his junior year (1961) he was 5’ 9” and 155 pounds. I think that must have included gear, because he wrestled in the 141-pound class. In the summer, Nathan apparently participated in some type of boat races on the Willamette River. I think these were speed boats; I recall watching such races in the late 1960s when we lived in Corvallis. Nathan managed to get a fair amount of press coverage on the sports pages. It wasn’t always good news. I never participated in high school sports, unless you count marching band (we actually lettered for that). As an adult, I played recreational softball for a number of years. My dad also played rec league softball. Mom never took any interest in sports that I recall, though she and Dad did play golf and tennis. My older brother did not play sports in school, but loved watching Nascar and playing golf. My younger brother was on the high school golf team. Golf’s a sport, right? Well, let’s just say it is. So, this particular Halse clan isn’t exactly a knockout in the sports arena. Feature image: My dad (marked with a red X) with his youth baseball team. The W stands for Washington Elementary School. Corvallis, Oregon about 1944. I remember playing recess games in that building in the background 25 years later. “Hospital Names Emergency Cases” Corvallis Gazette-Times, October 17, 1960, p. 10. From Newspapers.com. “Corvallis Wrestlers Get Close Win Over Dallas” Corvallis Gazette-Times, December 18, 1962, p. 8. From Newspapers.com. “Tires Said Slashed” Corvallis Gazette-Times, October 6, 1962, p. 1. From Newspapers.com. I should be out walking in the sunshine, not standing at my computer all day! I suppose. Winter is on it’s way. Get yo D’s while you can! No one in my family history ever played pro to my knowledge. The whole human race is all one family… so i beg to differ. You got a letter for Marching Band! Oh brother, we were ignored like pond scum. Still it makes for a good story. I finally got rid of my letter jacket not long ago. I should have taken a picture! I love the little newspaper snippets and diary entries. It seems sports was the main source of entertainment. I come from a big golfing family, however I’ve never really latched onto it. The only sport I ever really liked was badminton, oh, and mini-golf, but I’m not sure that counts, in fact I’m pretty certain some family members would say it doesn’t! LOL. I get you. I never was even very interested in watching sports, though my dad and brothers did. I was going to throw in my equestrian events, but decided to stick with school sports. Certainly I ski and used to play racquetball, stuff like that. I’ll watch the Olympics for a bit. I enjoy individual sport more than teams. Ya, I prefer individual sports, for fun, I can go at my own pace! Wow, you are so thorough, Eilene. Great that you have such pieces of history and archives. Thanks, Luda! I enjoy learning some things as I put a story together. Wow, you have your grandmother’s diary, that is amazing! Maybe not into sports, but several of your ancestors liked to document events and their history, a fine trait that you’ve sure inherited! She only kept that one year (my uncle has the actual diary). 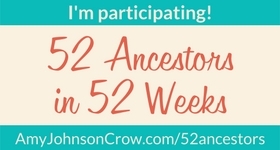 I am lucky my grandmothers did share a lot of family history with me. Do you have family stories, too? Sounds like you have a fascinating history going on there! And then you end up in Canada. There’s a tale in there, too. I did miss the recipe. My poor little poblanos, which I must harvest today, are barely larger than a big jalapeno. So, no stuffing them! But I can get larger ones from the farm stand and use these for my poblano sauce. We have a new Mexican restaurant here that makes many of these dishes you write about, including something like this. The food and margaritas are super yummy and the service and decor are excellent. Unfortunately, they may have priced themselves out of the market here. Very expensive! Oh, too bad about the price, that restaurant sounds good! As usual, great photos and solid research! Complimenti. Thanks, Allen! I always learn new things as I put each story together, so it’s totally worth it. Really enjoyed reading this. My mom used to be a teacher and girls’ basketball coach in a two-room schoolhouse in the 1930s. It’s how she met my dad. He was a teacher at another (smaller!) school in the same district. I think it’s true that sporty types end up together and non-sporty types do too. Enjoying these family histories, Particularly liked the diary entries, so much between the lines, “Dad played some violin”, those late bed times. Oh yeah. Reatha was a real partier! As much as one could be during Prohibition. Not that she was ever a drinker. Our high school band was a drum-and-bugle-corp-style competition band. My junior year, we took first place at every contest! We did pretty well senior year, too. Seems I recall that the plumes were so precious we had to turn them in after every performance. Oh, I’ve never heard of it. Is netball still played? It’s so great to have all these details from the diary and the clippings. I was in the marching band in high school and lettered for it too. I didn’t really do sports until college. Marching and playing an instrument is not only strenuous, but requires as much coordination as any sport.